A little over a week ago, the final results of the SPFBO (Self-Published Fantasy Blog Off) competition came in. In case you didn’t know, The Way into Chaos was a finalist, but in the end I landed squarely in the middle. Sixth place, in fact. SPFBO is pretty straight forward: They have ten blogger-reviewers and 300 self-published fantasy novels to split between them. Each reviewer picks one finalist from their allotment of 30. Then each reviewer rates each finalist, and the books are ranked according to the average of their reviews. When TWiC was made a finalist back in November, there were a number of people who thought another book deserved the spot. Readers’ tastes are idiosyncratic–mine certainly is–so the idea of a “best” book doesn’t really fit. The SPFBO exists to shine a light on self-published fantasy. It exists to find excellent books that might otherwise have gone unnoticed. It exists to help readers select, from the enormous range of options, books that have a better chance of entertaining them than a random choice, thereby increasing reader faith in finding a quality self-published read. If you read the rest of that page, you can see Mark is up front about the idea of a “best” book. The most we can hope for is an intersubjective consensus, of sorts. My question is this: Did readers “find” my book when it was named as a finalist? By which I mean: Did I get a bump in sales from SPFBO? To simplify things, I’m only going to look at Kindle sales. I do list the books on B&N and Kobo and the rest, and there is an overpriced POD edition (which is redundant, but that’s how it works) that I plan to cancel soon, but all together they make up about one-tenth the sales on Kindle, and the trends match, so I’m going to simplify things by only talking about the Kindle store. Let’s look first at the historical trends. Keep in mind that these are only sales of The Way into Chaos. The other books in the series are not included. 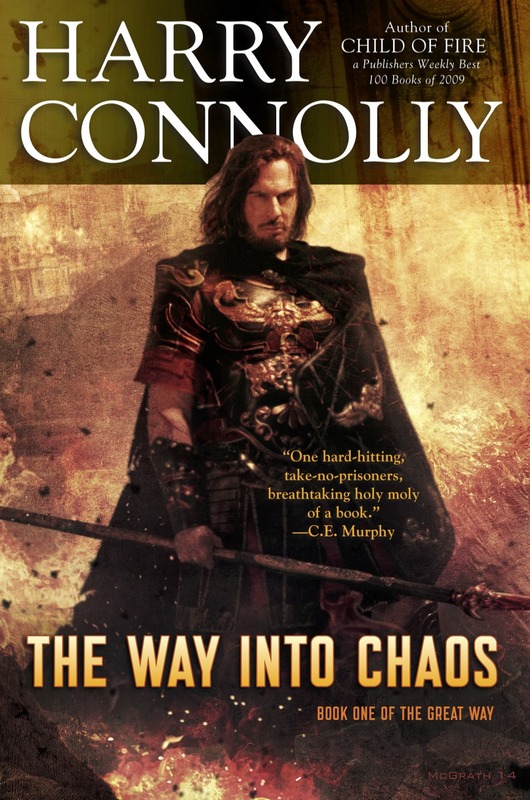 By way of explanation: The Way into Chaos was the first book of a trilogy, and I released book 2 and book 3 approximately 30 days apart, which I’d been told was a good strategy for ebook sales. Besides, all the books were finished because I had Kickstarter backers to please, so why wait? “Key/Egg” refers to A Key, an Egg, an Unfortunate Remark, the pacifist urban fantasy that I delivered as a stretch goal. You can’t see the bar graph for the month that the SPFBO finalists were announced because I sold fewer than two dozen copies that month. There was a very slight uptick in sales for Nov and Dec 2017, but the numbers were small enough that they could have been statistical noise. That’s not what I’d call a bump. What about the announcement of the winning book, which included cover art for all the finalists and their rankings? That didn’t do it, either. I think you can see why I’m only posting numbers for book one in the series. I’d hoped that a bump in sales for the start of the trilogy would have carried over to books two and three, but there was no bump, and therefore no carry. I imagine that Rob J. Hayes, who won the top spot with Where Loyalties Lie, saw a noticeable sales bump. I’d be curious to see what effect the contest had for him. Readers (including me) respond much more strongly to enthusiastic reviews than they do to mediocre ones. And TWiC received a number of middling reviews: one reviewer doesn’t like books with fighting and politics. Another did the “No, really!” snark thing, but no one snarks on a book they genuinely enjoy. And all that goes back to what I wrote at the top, which is that the bloggers’ responses were very personal, just like in any contest. Also of interest is this take, from an author who did not make the finals but feels he got tremendous value from it. For him, the real benefit came from the community that has sprung up around the contest. Which is great for him, but that community is on Facebook, and I walked away from FB years ago for all the reasons that people do. I still have a (friendless) account because some readers want to follow me there and I need an account to maintain a page, but I rarely look at it. Joining a Facebook community wouldn’t make sense for me. Besides, my life already has too much social media in it. What I need to be doing is cutting back, not adding more. I post this not to complain or criticize. The book has already sold quite well, and hitting 7858 units sold in the first six months–only counting the Kindle–is pretty good. In fact, it’s better than some books released by traditional publishers. For comparison, in its first six months, The Twisted Path only sold 1,957 copies. That’s not terrible, but it was also a long-awaited sequel to my most popular series. So TWiC has done pretty well. The reason I post all of this is to put as much information into the world as possible. Nihil veritas erubescit. Anyway, SPFBO 2018 is already running and full up on submissions. But while it’s too late to enter, it’s a good time to follow along, find some great new books to read, and maybe join a new community. If you’re on Facebook, that is. It’s hard to say exactly what effect SPFBO has had on sales of Where Loyalties Lie because it was only released a couple of weeks before the blog off started last year. Since then its sales have been steady most months with large bumps both when it was announced as a finalist, and an even larger bump just recently when it won. So there is a bump! Maybe I didn’t get one because a) I didn’t place high enough or b) I wasn’t part of the Facebook community or c) both.